Gary A. White, P.E., P.P., C.M.E. 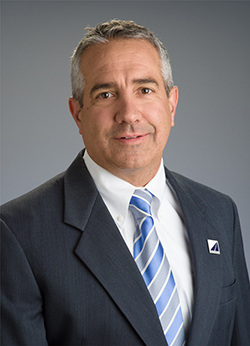 Gary White, PE, PP, CME, CPWM is a graduate of Drexel University with a Bachelor of Science in Civil Engineering and is Vice President of Churchill Consulting Engineers, responsible for municipal engineering services and special projects. He has established relationships with many local and regional government agencies. His experience includes the design of numerous site plans, streetscapes, and recreational areas; major subdivisions; water and sanitary sewer facilities; and highway interchange and local roadway projects. He has 30 years of experience and has served as municipal engineer and planning/zoning board engineer for many municipalities, overseeing large and small scale planning, design, and construction projects involving local roadway repaving, stormwater management, state and federal grant applications, public works and facilities, and water and sewer infrastructure improvements. He is attendant at numerous governing body and land use board public meetings, providing guidance and comments for complex projects, and consultation for ordinances, resolutions, budgets, grants, and other local government functions. He works closely with various municipal offices and local volunteer groups, and also oversees the construction of both government and private developer projects.